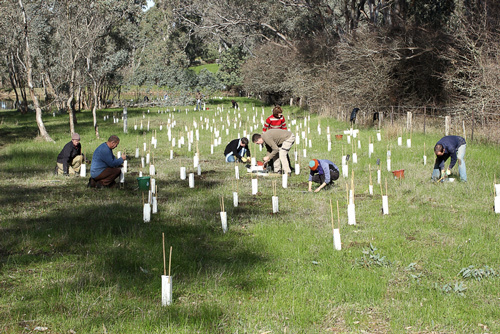 There are many different ways revegetation can be undertaken, but generally most of these methods fall into two categories – Tubestock and Direct Seeding. 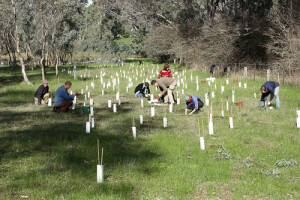 It should also be noted that the value of ‘natural regeneration’ as an indirect landscape restoration technique in central Victoria is being increasingly recognised and valued. ’Tubestock’ involves planting pre- grown indigenous flora from within pots or tubes into the designated restoration area. The best time of year for tube-stock planting is mid to late winter. For at least the first two years, you need to water these plants periodically during spring and summer if there are prolonged dry conditions. The guards will also need to be removed once the tubestock plants are properly established. ‘Direct seeding’ involves the placement of fertile seed from indigenous flora at or below the ground surface, and then allowing a plant to grow from this seed. Direct seeding using mechanical installation techniques is often undertaken at large restoration areas where it is too expensive and labour intensive to plant tubestock. It is usually undertaken within grassy paddocks or within lightly treed grassland areas. 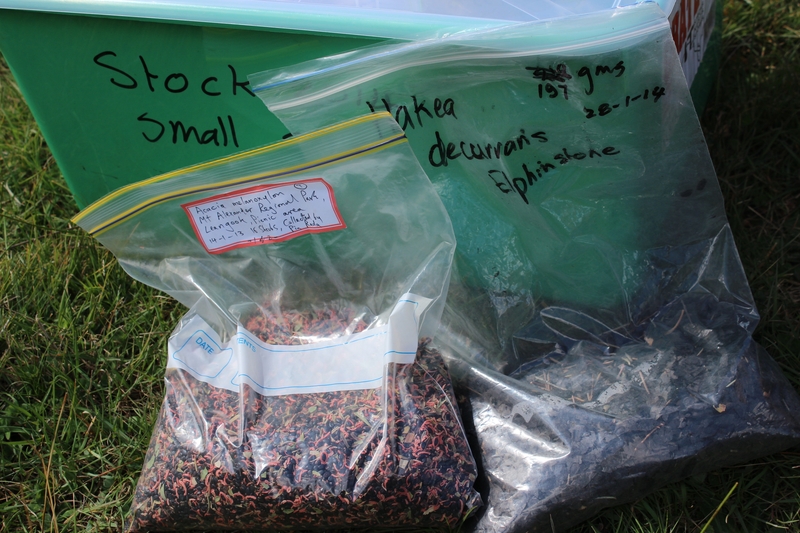 Direct seeding can also be undertaken on a small scale, and in a more targeted manner, by non-mechanical means.